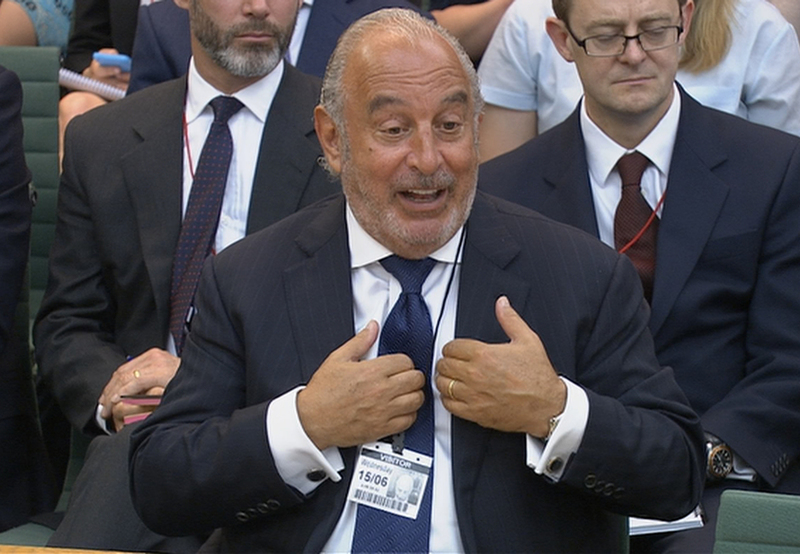 Goldman Sachs’ image has not been enhanced by its role advising retail billionaire Philip Green in the collapse of UK retailer BHS. But the investment bank’s modus operandi is not much dented. Relationships with the rich and the powerful are what drives investment bank revenues – and year in, year out, they also create reputational costs. BHS provides a textbook example of what happens when such relationships go wrong. The struggling clothes retailer was sold by Green last year for 1 pound, to a consortium that thought it could turn it round. It couldn’t. BHS went bust, and there may not be enough money to pay its employee pensions. The reasons are being investigated in fine detail by a parliamentary Select Committee. Awkwardly for Goldman, it views the nature of its advice as informal. But Green suggested he wouldn’t have proceeded with the deal if the bank had not first okayed the purchaser. There is a simple cure: don’t give informal advice, and keep relationships professional rather than personal. Banks could compete for each advisory mandate, and fees would be more standardised. Everyone would know who was to blame if things went wrong. That’s not likely or, for Goldman, particularly desirable. Advisers like to gain clients’ trust over a lengthy period of time – a decade, in the case of Goldman’s relationship with Green. That makes them more likely to pick up lucrative work further down the line. It is also why the initial public offering of the $2 trillion Saudi Aramco, the Saudi Arabian oil refiner, may not elicit much in the way of fees. If one bank isn’t prepared to offer free advice, another will. The flipside is periodic reputational twinges. Goldman already experienced one this year after it reportedly expressed interest in underwriting a Russian sovereign debt issue – only to be warned off by the U.S. government. Regardless of who’s right or wrong, Green has provided another uncomfortable moment. But it’s probably no more than that. Goldman Sachs’ reputation wasn't enhanced by its involvement in the sale of now-collapsed retailer BHS, Goldman Vice Chairman Michael Sherwood told UK lawmakers on June 29.